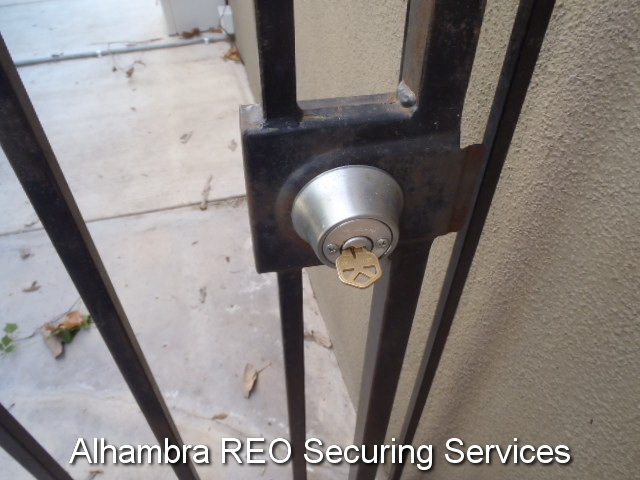 An REO bank owned property that is not secure is a potential liability for the investment property owner. An unsecured property is a nuisance to the neighborhood. An unsecured property invites homeless, transients, drug users to the property. 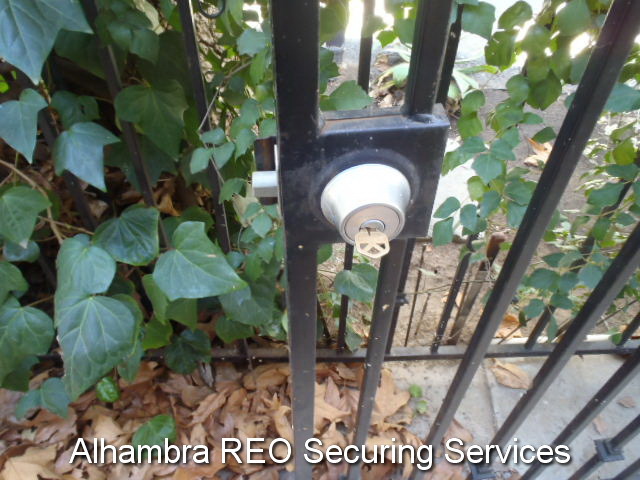 Emergency Bank Owned property securing in Alhambra, California is available. 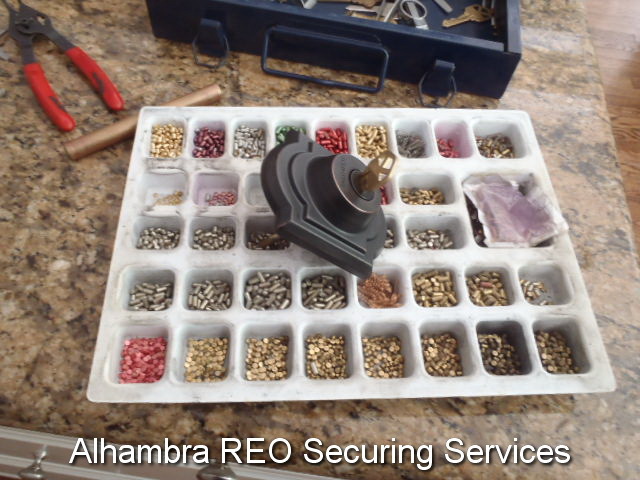 Property Preservation Alhambra will board and broken or missing windows. All window boarding is completed to city specifications. Materials used for boarding broken windows or boarding up a vacant or abandoned property in Alhambra, CA. 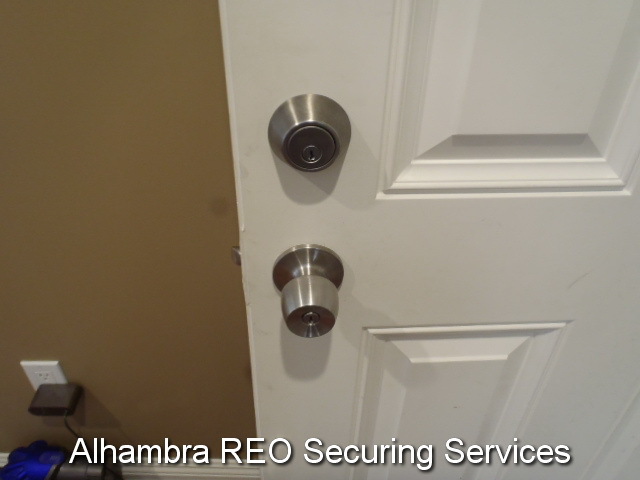 Property Preservation Alhambra will board and broken or missing doors. All Door boarding is completed to city specifications. 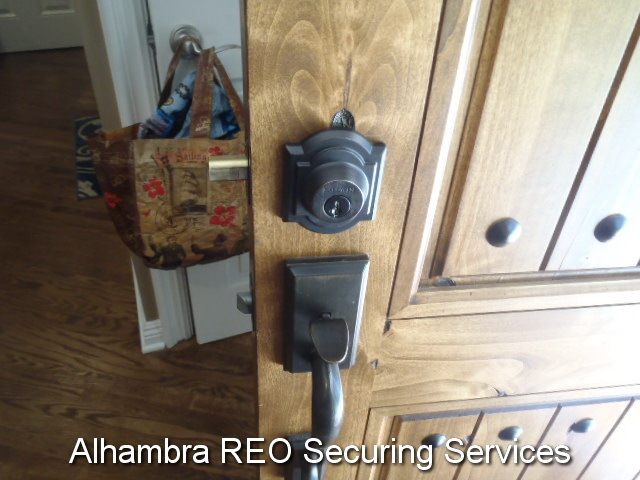 We have completed thousands of bank-owned property rekey in Alhambra for real estate brokers and agents just like you.